FalconMedia ProThermal white offers a unique solutions perfectly compatible with thermal re-transfer, direct transfer and sublimation printing technologies commonly used in the market.~ FalconMedia Pro Thermal white is optimized to reproduce long lasting full color photos with stunning colors and sharp printing and undergoes stringent surface control testing to ensure flawless printing and faultless handling on automated systems. 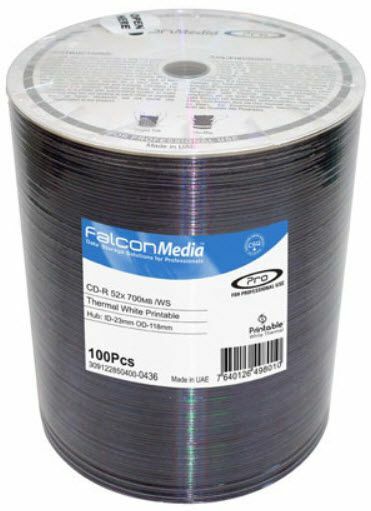 FalconMedia Thermal white is the best choice for large volume production where professional quality and consistency are a must to achieve smooth operations and excellent throughput. FalconMedia Thermal white comes with a full surface print layer allowing maximum artwork coverage and outstanding full color quality. 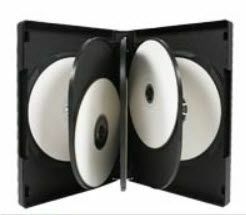 This product is subject to cpcc levy of $0.29 per disc. your printer and for more product information.